I used to spend a lot of time on foot with camera, I still do but certainly not like before. I would seek out life in the city like I couldn't get enough of it. Over time, the life of this city has changed and the new city seems to have eaten at my patience. That needs to change. On the New York Times Lens Blog today is the story In the Spirit and on the Street - photographs by Larry Racioppo which got me thinking about this photograph I have from 2001. 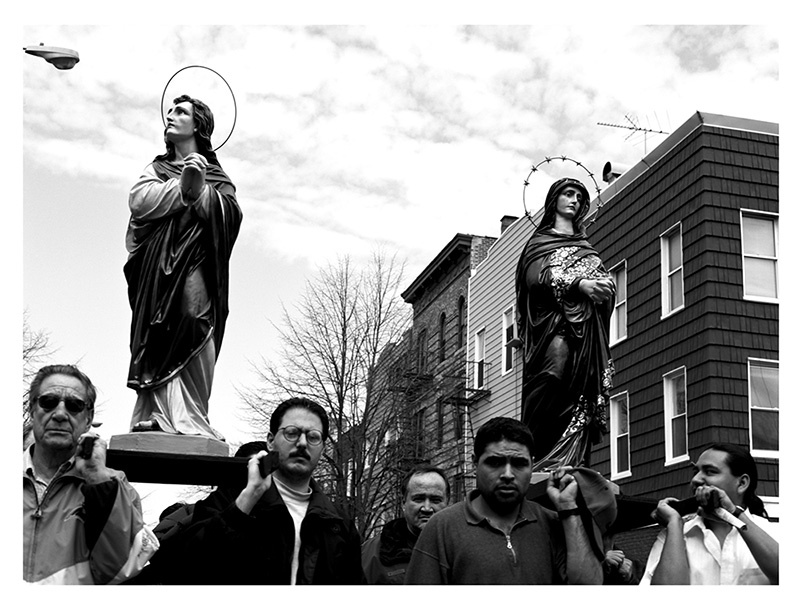 I was wandering with my eyes wide open - in and around North Brooklyn just looking when I happened upon this procession. Just the idea excites me, I need to make a point to spend more time wandering, away from this computer.